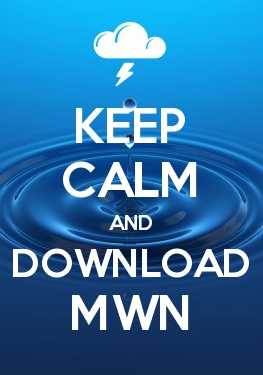 MWN Blog: Monday front brings t’storm chances, then a pattern change! Monday front brings t’storm chances, then a pattern change! Summer has seemingly arrived early to the Mid-South this past week, as temperatures reach the 90 degree mark and that classic Memphis humidity makes its first of many appearances in the months to come. Fortunately, summer’s early arrival looks to be short-lived, as a potent May cold front will make its way to the Mid-South on Monday. The front will be accompanied by showers and possibly strong thunderstorms, but then a significant pattern change is in the offing for much of the upcoming week. A few showers may approach the metro area toward dawn Monday, but rain chances will increase significantly as daytime heating increases and the front pushes east through Arkansas, approaching the Mississippi River during the evening hours. Scattered to numerous showers and thunderstorms are expected, possibly in a couple of separate rounds between Monday morning and evening. 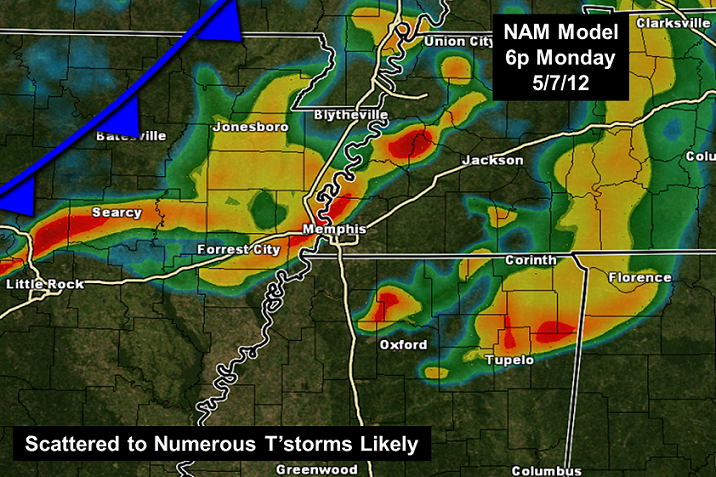 NAM forecast model for late Monday afternoon. With strong instability and some modest wind energy along the front, the potential does exist for a few thunderstorms on Monday to be strong to severe. 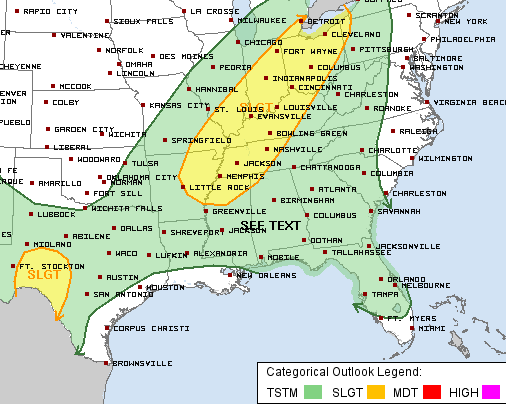 The Storm Prediction Center has placed the entire region in a “Slight Risk” for this threat (see graphic below). The main hazard is strong, possibly damaging straight-line winds, with a secondary threat of hail. The tornado threat is very low. Thunderstorms may also produce torrential downpours, which will hopefully bring some much needed rainfall to the area, without significant severe weather. 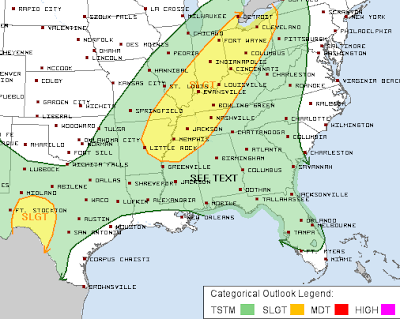 Storm Prediction Center severe weather outlook for Monday. The cold front will be slow to clear the region, but should do so Tuesday morning, taking any lingering showers with it. Behind the front, get ready for a stretch of outstanding weather that may last right through next weekend! High temperatures will hold near or below 80 for several days, with numbers falling into the 50s overnight. Additionally, humidity levels will fall back into a very comfortable range! 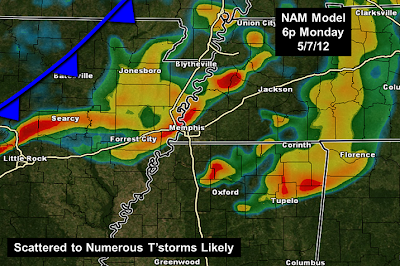 Stay with MemphisWeather.Net for the latest on Monday's thunderstorm chances. As needed, we'll be nowcasting during the day via our social media feeds (see links at the bottom of this post). Also, don't forget our StormWatch+ service that will immediately notify you on your smartphone to any severe weather alerts issued. For more, visit StormWatchPlus.com.